Pilot's Final Call: "We're Gonna Be In The Hudson"
New York City police officers look over part of the US Airways Airbus 320 that crashed into the Hudson River on Thursday. An NTSP spokeswoman released some new details Saturday about the final calls from the pilot before the landing. An NTSB official released new and dramatic details of the final transmissions between the pilot of a doomed US Airways flight and the control tower moments before the plane landed in the Hudson River. 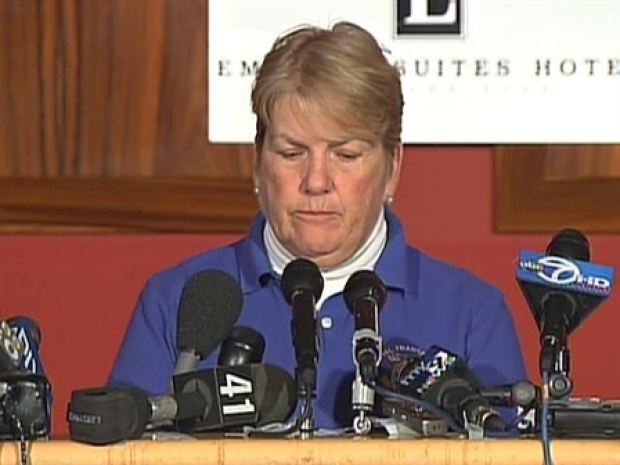 NTSB spokeswoman Kitty Higgins detailed some of the communication for reporters gathered at a news conference Saturday afternoon, including the moment at which pilot Chesley Sullenberger III first told the tower that he was having trouble. "Ah, this is Cactus 1549, hit birds, we lost thrust in both engines. 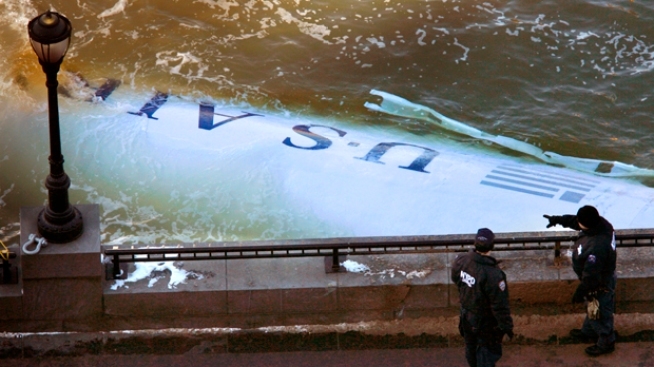 We're turning back towards LaGuardia," was how Higgins relayed Sullenberger's call. Higgins also said the cold weather and slushy waters have made the recovery of the plane difficult. It was supposed to happen Saturday afternoon. An NTSB official released details Saturday of the call between the pilot of a doomed US Airways flight and the control tower. "This is an A320, but has the approximate weight of an A380," she said. "In its current condition, it's about 1 million pounds. "The objective is to lift it up a foot at a time, and let the water drain." Higgins also said SONAR mapping and a remote-operated vehicle are being used "to identify targets of interest. Then they'll deploy divers once they're at the point where they have something they want to check out further and possibly recover."